CANALI S.P.A., with registered office in Sovico, Via Lombardia no. 17/19, in its capacity as data controller of personal data under Regulation EU 679/2016 applicable from 25 May 2018 – the General Data Protection Regulation (“GDPR”) - acknowledges the importance of the protection of personal data and considers the protection thereof to be one of the main objectives of its business. In compliance with the provisions of Regulation EU 679/2016 and applicable national law (hereinafter GDPR and “applicable national law” are jointly referred to as the “Applicable Laws”) we hereby provide you with the required information on the processing of the personal data provided. This notice is provided pursuant to the Applicable Laws and CANALI S.P.A. invites you to read it carefully as it contains important information on the protection of personal data and the security measures adopted to guarantee the confidentiality thereof in full compliance with the Applicable Laws. CANALI S.P.A. informs you that the processing of your personal data shall be based on the principles of lawfulness, correctness, transparency, purpose and storage limitations, data minimisation, accuracy, integrity and confidentiality. The personal data shall therefore be processed in accordance with the legal provisions of the Applicable Laws and the confidentiality obligations provided for therein. In order to select professionals for the Company or for the Companies of the Group, CANALI S.P.A. Unipersonale requires individuals to provide data to verify their suitability to employment positions and also provides the possibility of sending their spontaneous applications. The personal data, including special personal data, provided voluntarily by filling out the data collection forms found in the Career section of the company website and/or sent to the individual shall be processed in compliance with the legal framework in force and, in particular, in compliance with the provisions in place to protect the confidentiality of the personal data. In this respect, CANALI S.P.A. Unipersonale invites you to view this notice. CANALI S.P.A. hereby informs you that for the processing operations carried out in the Personnel Management/HR area, the contact person is the organisational manager of the Human resources department in his/her capacity as Privacy Manager. CANALI, furthermore, has appointed a Data protection Officer (“DPO”), who can be contacted at the address: dpo@canali.it for all information regarding the processing of the personal data of CANALI, including the list of data owners. The data subject may voluntarily provide the information requested by CANALI, by compiling the specific data forms in the Career Section of the website. In particular, CANALI may ask the candidate to provide the identification and personal data which may be useful in whether the candidate’s professional profile is in line with the needs of CANALI. The processing and sending of data may include so-called special and/or judicial data. In the event the information provided to CANALI contains special data (i.e. which reveals race and ethnicity; religious, philosophical and other beliefs; political opinions; membership of political parties, trade unions and religious, philosophical, political or trade union associations; as well as information such as to reveal state of health and sexual life), such data may be processed only with the express written consent of the data subject. We inform the data subject whom decides to join the faculty to provide all or some of the requested information by connecting with his/her Linkedin account, that CANALI will have access to their complete Linkedin profile. For this purpose, we remind the data subject that it is always possible to configure the settings of his/her Linkedin profile in order to made his/her contacts visible only to himself/herself, thus avoiding the members who have connections in common to display his/her connections. Either if the candidate sends his/her data in order to candidate spontaneously, or if he/she sends his/her data in order to apply for a specific candidature, the data will be processed for the purpose of personnel recruitment for CANALI and for the Companies of the Group, either present and future. CANALI may use the data provided for statistical reasons in relation to such purposes, while maintaining the anonymity of the data subject. Processing will be automatic and manual, using methods and tools designed to ensure the utmost security and confidentiality, by parties engaged specifically for this purpose in compliance with the provisions of article 31 and subsequent, Data Protection Code. The data will be retained for no longer than is strictly necessary in relation to the purposes for which the data was collected and subsequently processed. - staff of the Company or of other Companies of the Group, for example belonging to the HR and IT Office. The parties belonging to the aforementioned categories either perform the function of Data Processor, or operate with complete autonomy as separate Data Controllers. The list of the appointed Data Processors is constantly updated and available at the registered office of Canali S.p.A. Unipersonale, Via Lombardia, 17/19 - Sovico (MB) ITALY. Any further communication or dissemination will only take place with your prior explicit consent. Subject to the specifications made with regard to navigation data, users are free to provide the personal data either to be entered in the application forms and/or voluntarily, in order to join the services provided in the Career Section of the website. Failure to provide such data may entail the failure to be provided with the items requested. Within the limits of the Applicable Laws, the data subject is entitled to ask Canali, at any time, for access to his/her Personal Data, the rectification or erasure thereof or to oppose its processing, as well as to ask for the limitation of its processing and to obtain the data concerning him or her in a structured, commonly used and machine-readable format. Under the Applicable Laws, the data subject is entitled in any case to lodge a complaint with the competent supervisory authority (the Italian Data Protection Authority) if he/she considers the processing of his/her personal data to breach the laws in force. If the data subject contacts the Data Controller or the DPO, he/she is kindly asked to provide an email address, a name, an address and/or a telephone number, so that the request can be managed correctly. CANALI reserves the right to remove the data received from its archive in the event that same, when checked, is inexact, incomplete or not up-to-date, and may ask for further data to be supplied to provide information about the candidate’s initiatives and activities. 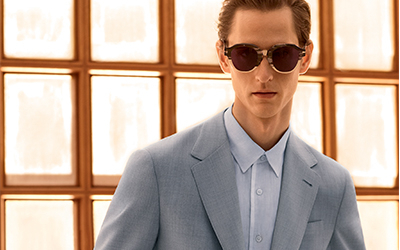 CANALI reserves the right to change, update, add or remove parts of this Privacy Notice at its own discretion and at any moment. The data subject is responsible for periodically checking for any changes thereof. In order to facilitate this verification, the notice will contain the indication of the update date. The website use after the publication of changes will be considered as an acceptance thereof. The Website may contain social network plug-ins. If you access one of our web pages provided with such a plug-in, the Internet browser directly connects to the social network servers and the plug-in is displayed on the screen thanks to the connection to the browser.